Portable air cleaner ideal for grow tents or spaces up to 400 sf. 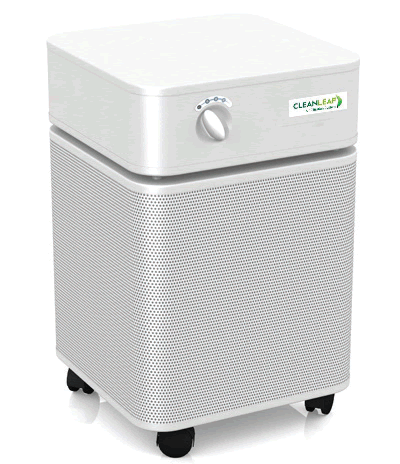 Used to control odors and filter powdery mildew, mold spores, pollen, bacteria, dust, and all other potential contaminates. **For high particulate applications, please contact us for proper unit selection. Use our sizing calculator to help you determine which unit is best for your room and how many units you need to acheive proper air circulation. 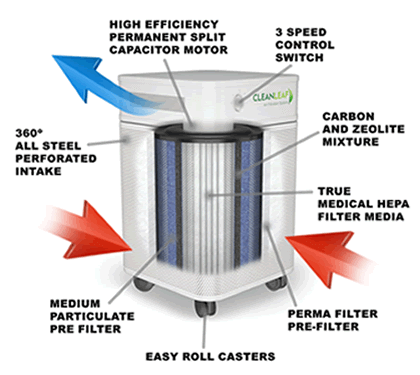 A CleanLeaf media air cleaner is considered an "ambient air cleaning system" designed to run ambient shop air through a series of high efficiency filters and/or carbon depending on the application. When sized for 8-10 air changes per hour, you will create a constant reduction in the amount of airborne particulate in the room between 70-90%. We always recommend capturing the particulate at the source when possible but understand source capture is not always an option. Blue Ox air cleaners are often used as a secondary filtration system to source capture or when source capture is not applicable.